ISO (International Organization for Standardization) is a team of representative from different national standards organizations having an aim to provide the international coordination and unification of industrial standards. There are 162 member countries which has developed over 20000 standards set covering everything from manufactured products and services. These standard are related to manufacturing of goods and services that are safe, reliable and have a good quality. ISO has formed 780 technical committees for development of various ISO standards. ISO/TC 223 was a technical committee, formed in 2001 to develop the standard related to societal security. In 2014, ISO / TC 223 merged with ISO / TC 292 for better security coordination. Now ISO / TC 292 called a security technical committee. 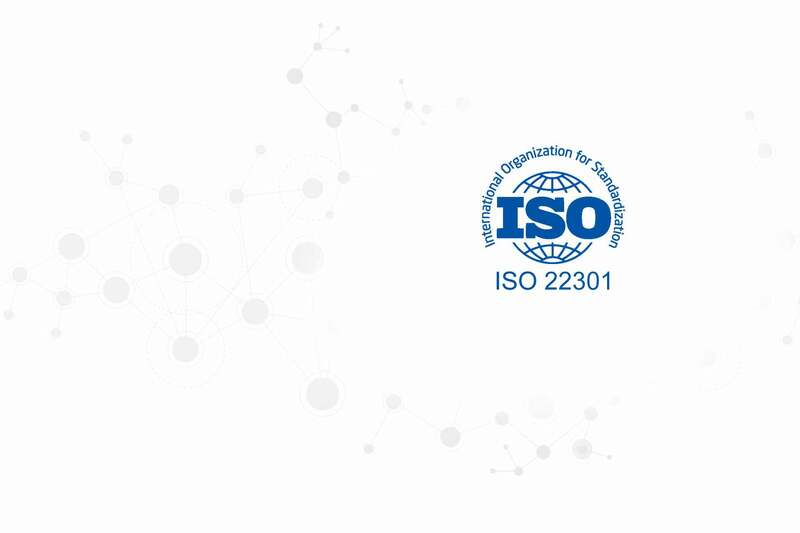 ISO 22301: 2012 has developed by ISO / TC 223. ISO 22301 is related to establishment and maintenance of an effective business continuity management system (BCMS) for any organization, regardless of type or size. Business continuity and disaster recovery are essential when responding to natural disaster, unintentional human act and technical failures that affected the business of the organization. Government and Regulators identify the roles of the business continuity to mitigate the effect of disruptive incidents on society. In 2003, BS 25599 standard published by British standards institution for business continuity management. In 2012, BS 25599 was replaced by ISO 22301. ISO 22301 has some new addition as compare to BS 25999 and some topic omitted which doesn't affect the overall practice and process of business continuity management. The main function of ISO 22301 to protect the business from any incident which disrupts the business process. BCMS focused on organization's capabilities and contingency plan to prevent the disruptive incidents. BCMS includes all the process disruption from the single node failure to major component failure. ISO 22301:2012 establish the policy and procedure for document management system that prevents the disruptive incident and reduce the likelihood of occurrence and prepared the plan to recover the business from disruptive incidents when they arise. Is business Continuity management means only IT disaster recovery?